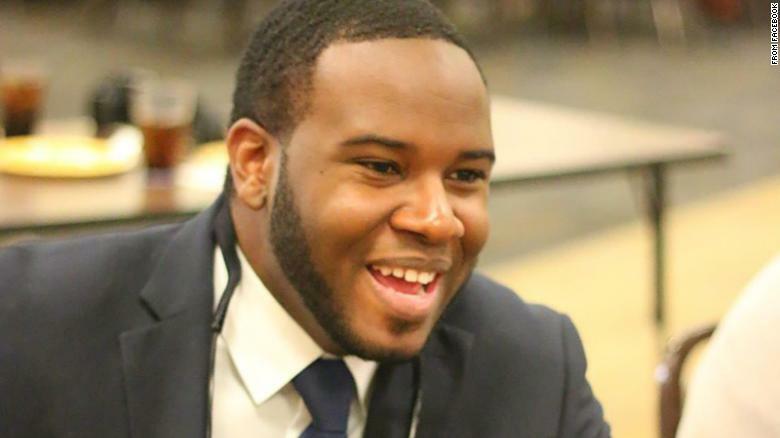 UPDATE: Dallas PD are now seeking a warrant on manslaughter charges the female officer who shot and killed Botham Shem Jean (pictured). According to sources, the officer had been on the wrong floor of the apartment complex and attempted to enter Jean’s apartment, thinking it to be hers. ORIGINAL STORY: A Dallas man was shot and killed late Thursday when a police officer returning home from her shift entered the wrong apartment in her building and eventually opened fire. The shooting occurred just before 10 p.m. at the South Side Flats, a modest complex located near downtown Dallas. During the event, the officer was in full uniform and “fired her weapon striking the victim,” according to police. Jean died at the hospital. The officer has not been publicly identified and Dallas police have yet to interview the officer and wouldn’t speculate on whether or not she mistakenly entered another apartment and believed that the man inside was an intruder.